I think it should be clear what this editor and paper are all about now after they know published racist comments and defended them. This is a sad day when we see such hateful comments in the paper each day. I'll say it again for those who think everything is free speech, we have laws against racism and racially/religiously motivated hate crimes and literature so I really hope the appropriate legal actions are taken against this paper and publisher. A Calgary-based political magazine, already under fire for publishing cartoons offensive to Muslims, is now being accused of racism after publishing derogatory comments about the wife of the Alberta premier. The comments were part of a column in the Western Standard magazine by writer Ric Dolphin. 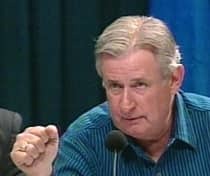 He suggested Colleen Klein wields too much influence over Premier Ralph Klein and his office. He then goes on to quote an unnamed source who said, "Once she [Colleen] stops being the premier's wife, she goes back to being just another Indian." The Kleins have so far not offered any public comment on the article. But the premier's office told CBC News the couple is upset and that Colleen Klein is disgusted and devastated by what's been written. "She's hurt for her family, her children who are also of aboriginal descent, and she's also hurt for the aboriginal community," Marisa Etmanski, who is Ralph Klein's press secretary, also told the Canadian Press. "I can't tell you how upset I was when I read that. It was cruel, it was unkind, and it was untrue," said Alberta's deputy premier, Shirley Maclellan. 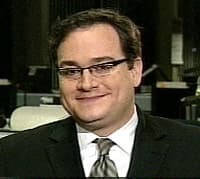 Ezra Levant, the magazine's publisher, defended his decision to print the remark. A number of aboriginal groups have condemned the article. The Institute for the Advancement of Aboriginal Women called on advertisers to boycott the Western Standard. The group's president, Muriel Stanley Venne, called the remark deeply offensive. She questioned the use of an unnamed source by Dolphin, who was reprimanded by the Alberta Press Council several years earlier for disparaging comments he made about natives that were published in the Calgary Herald. "The ignorance of this man is just abundant with regards to aboriginal people and I do not buy the idea that someone else said it," said Venne. "I think that without mentioning his source, he could have just made it up himself." Trevor Gladue, vice president of the Métis Nation of Alberta, also criticized Dolphin's comment. "The perception of what native people are is systemic in our society. It means it's OK to hate us, it means it's OK to mistreat us, and to disrespect us in this way," Gladue said. Dolphin said he stands by his column, which ran under the headline "Married to his work." He said he did not fabricate the comment, adding that it came from one of Klein's "fishing buddies." Dolphin said he was trying to make the point that Klein's wife exercises a great deal of influence on government policy – but is not an elected official. With respect to his unnamed source, Dolphin said the man was scared to be named. "Because of the political climate in this country, people are not going to go on the record expressing their honest opinions on natives because it gets them into trouble. It gets them censored by newspaper councils and things like that." The Western Standard has been under attack for its latest edition, which included controversial cartoons depicting the Prophet Muhammad – including one with a bomb in his turban. A Muslim group has filed a complaint with the Alberta Human Rights Commission over the appearance of the cartoons in the magazine and a few other Canadian publications. The cartoons, originally published in Denmark in September and reprinted in other European papers in recent weeks, have caused outrage across the Muslim world, setting off protests and boycotts of Danish products in several countries. Islamic tradition bars any depiction of the Prophet. Syed Soharwardy, president of the Islamic Supreme Council of Canada, said the group filed a human rights complaint because it felt reproducing the cartoons in Canada was not appropriate. "We are not looking for any material benefits," Soharwardy said. "We are looking for a message that should be given to Canadians, Calgarians, Albertans, that we are all equal Canadians and we should be respected like anybody else." Levant defended the decision to publish the cartoons, saying Western media have been cowed into fear. He told CBC Newsworld that he published the dozen cartoons in Monday's edition because they are "the central fact in the largest news story of the month."